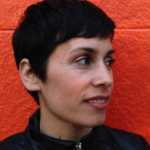 Michelle Wallace is based in Mexico City and writes about politics, art, health and science. Last week, Texas became the first state to require women to bury or cremate their aborted fetuses, but the law didn’t start there. On March 24, Indiana Gov. and vice president-elect Mike Pence signed into law an abortion bill that contained the same provision, which adds an estimated $1,500 to $4,000 in abortion costs as well as increased emotional burden. Though a judge struck down the Indiana provision, it was one of many attempts to make abortion effectively inaccessible for most women, including years of attempts to defund Planned Parenthood (which was introduced by Pence in 2011). Now, with Pence&apos;s avowed goal to “send Roe v. Wade to the ash-heap of history,” chances that further legislation that restricts and limits abortion access will be enacted are highly likely. But people will have abortions regardless of legality—the real concern is safety. Two years ago, Texas passed a law that severely restricted access to abortion in the state, resulting in an increase of DIY abortions, which are significantly less safe. The dangers marked a return to the time before abortion was legal. Roe v. Wade was the landmark Supreme Court case that legalized abortion in 1973. Following the decision, deaths from abortion plummeted to about 3 percent. The suicide rate dropped 41 percent for women in their twenties and 34 percent overall. These numbers speak to the desperation of the Pre-Roe years, a desperation remembered by a woman born in Massachusetts in 1946 who wishes to remain Anonymous. I remember pre-Roe v Wade. I had friends jumping down stairs, off the couch, having coat hanger abortions, and meeting strangers on street corners for abortions in motel rooms. When Anonymous became pregnant in college, she shouldered the risks to have an abortion because, as she says, “I did not think I was old enough to mother anyone and I wanted a better life than being 19, pregnant and married.” To do this, she had to follow "the trail from friend to friend to friend of friend to find a name of someone who might have known someone who might have gone to an abortionist.” She finally connected with an abortionist in New Jersey. Anonymous says she “arrived in the town the afternoon before, stayed in a horrible, cheap, dirty hotel by myself,” and was picked up early in the morning by a large black car at an appointed corner and time. “There were several other girls in the car, and two goons driving. They took us to a motel that had been transformed into an operating suite. The waiting room was in one bedroom, and the OR was in the next room. All the doctors and nurses were in scrubs, masked, and using wrapped sterile instruments. It was an extremely quick D&C (I think), and then we sat and waited till everyone was done, and were taken back to our street corner." The stories I remember of women purposefully falling down stairs, jumping off couches, and having coat hanger abortions were the ones that had no access to enough money to go somewhere like I did. As abortion becomes less accessible in parts of the country, this inequity will disproportionately affect people experiencing poverty, leaving them more vulnerable to being left with only dangerous options.